Ismael Tajouri bagged two goals vs New England to give him 3 goals in his last 2 starts. 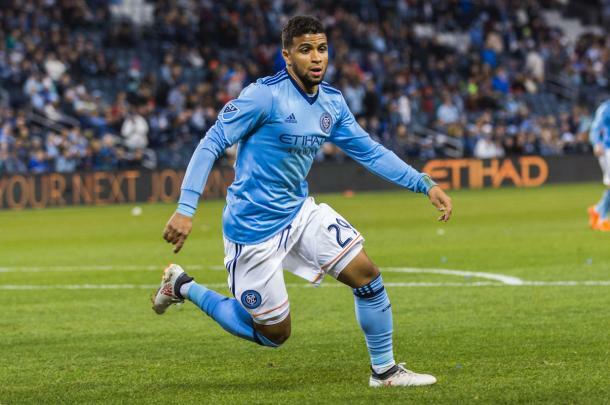 New York City FC winger, Ismael Tajouri has taken advantage of the absence of David Villa. 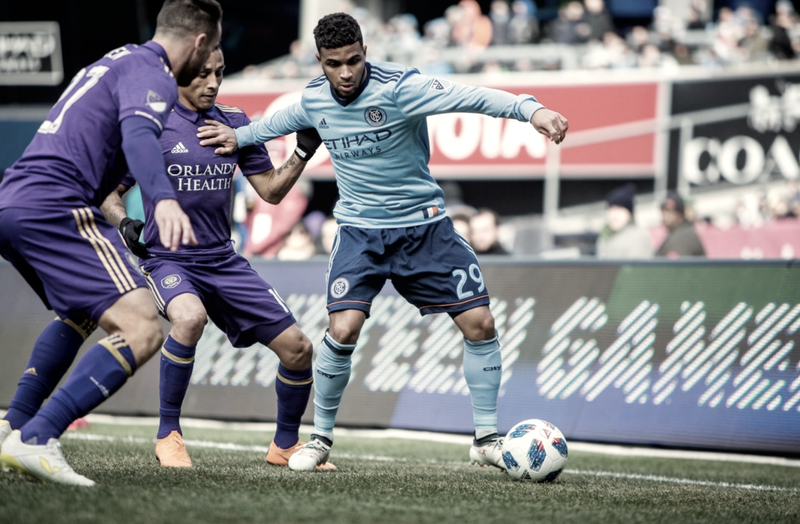 Coming in during a busy offseason, fans weren't sure where or how Tajouri would find minutes, but after his last two performances, he is giving Patrick Vieira something to think about. NYCFC haven't found many things too difficult this season winning their first three matches and conceding just one goal in all those matches combined. However, the New England Revolution's high press certainly gave the visitors some trouble. The Eastern Conference giants struggled early in the match adjusting to the field conditions as well as the press from the Revs and eventually conceded the game's opening goal at the 11-minute mark. NYCFC Manager, Patrick Vieira, commented on the Revs press saying: "I think at times, especially the first 25 minutes, they were pressing us really high and with a pace that they have up front that was closing us down and making it really difficult and we tried to force it." NYCFC eventually ended up being able to control the ball for most of the remainder of the half but couldn't create any chances as they struggled to get in the final third. However, just six minutes into the second half, Ismael Tajouri scored his first of two goals on Saturday when he put home a pass rolling across the box from Saad Abdul-Salaam. New York City FC dropped their first points of the season but with David Villa, Alex Ring, Ronald Matarrita, and Rodney Wallace absent this week, Anton Tinnerholm the week prior, fans and players alike will be happy with taking 10 of the available 12 points to open the season. Up next, NYCFC will head west to take on the San Jose Earthquakes where they'll hope to continue their unbeaten streak to start the season before having the following weekend off to give the club a quick break.